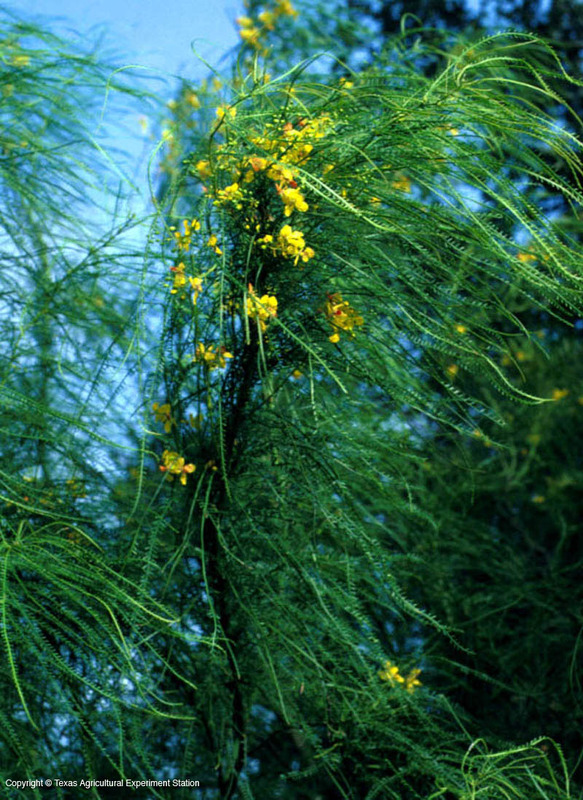 Retama is a graceful tree with bright green bark. 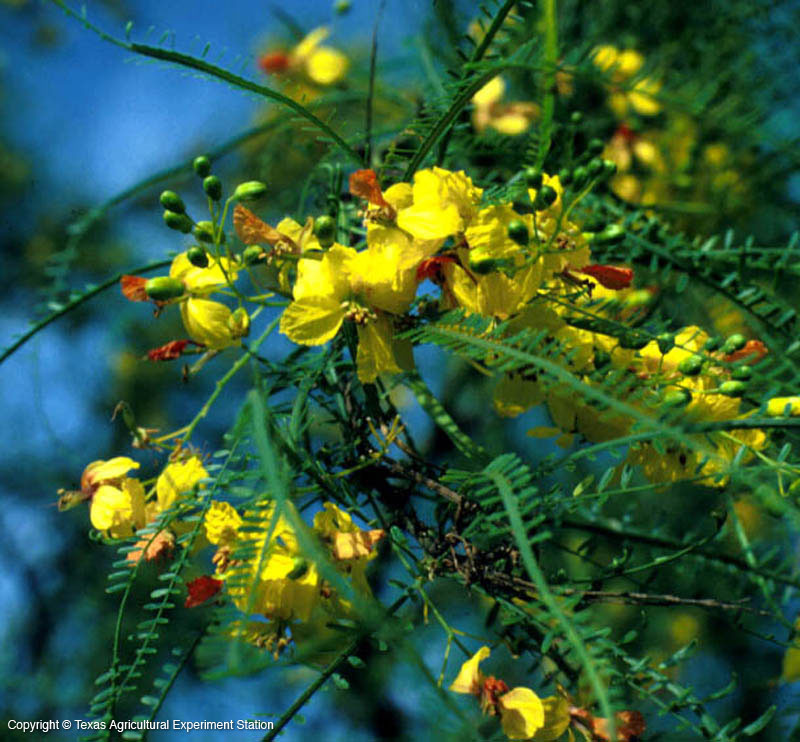 It can be single stemmed or multi-trunked, and because it has long thin leaves it casts only dappled shade. 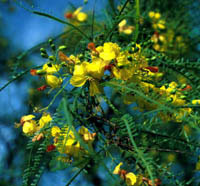 The yellow flowers with red-orange throats are borne in spring or early summer and then sporadically to autumn. 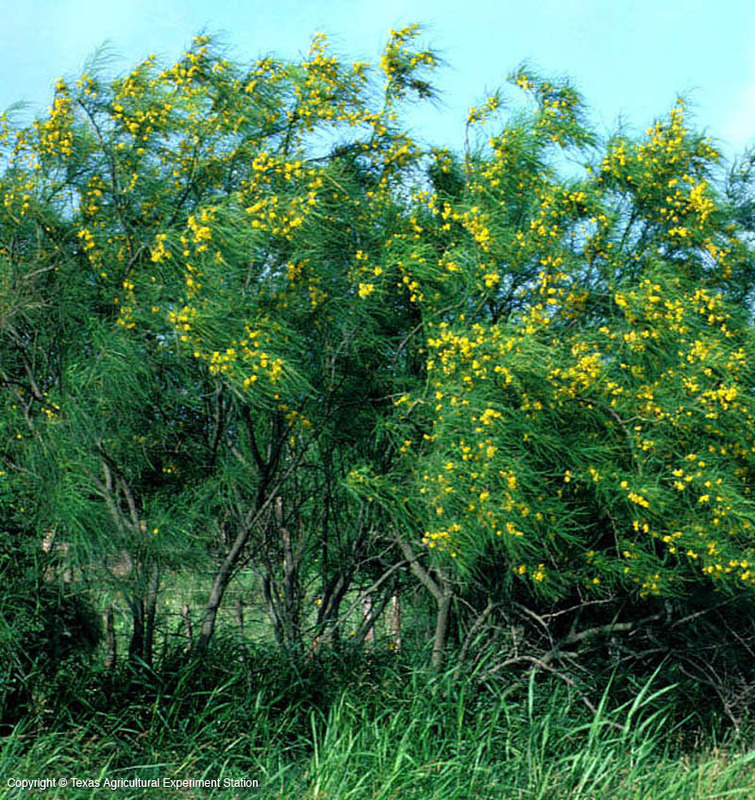 Retama is usually found on limestone soils in areas with good moisture, but it is nevertheless strongly drought-tolerant, and can also withstand saline conditions. In cold and drought it drops its leaves and the trunk and stems act as the photosynthetic organ. It can be half-hardy as far north as Dallas if provided with a proper microclimate. It is fast-growing, tough and durable. Needle-like thorns at the nodes on twigs and old trunks can be maintenance and pedestrian hazards.